“Work. In many work situations, you will likely have to wear your hair up. No matter if your type of employment requires it or you simply like to change your look now and then, wearing your hair up calls for the right hair accessory to do the job. The number one rule to finding the right hair accessory for work is to avoid banana clips at all costs. I mean, who still makes these things? Apparently they’re making money at it or they wouldn’t still be producing these torture devices of the 80s. Don’t further their cause: stop buying this hair accessory. 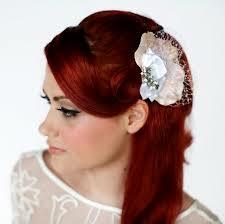 The second rule is to choose hair accessories that closely match your hair color or that blend nicely with it. Matching a hair accessory to your clothes is only cute when you are 5-years-old. 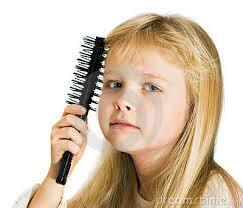 What you choose will depend largely on your length of hair and how you like to wear your hair up. For French twists, choose hair accessories that resemble over-sized hair clips. Simply twist and clip. “Social and formal occasions. In social and formal occasions you have a greater opportunity to express your artsy side through hair accessories. Again choose sedate pieces over garish hair accessories. Classy pieces can be perfect for social occasions, whereas a little sprig of flowers or garnishment may be needed for formal occasions. Formal occasions are the only time that is okay to match your hair accessory to your clothing. But still, do not go overboard. What attracts the eye should be the beauty of your hair, not too-busy hair accessories. If in doubt about what hair accessory or how much of it to include, opt for the simple solution: use as little as possible.